I never got into Samurai Jack. It wasn’t a lack of interesting, but just a bad time slot for my schedule at the time. Now, I don’t have cable, and while I think it’s interesting that it’s come back with a new series, I’m just not particularly excited. But I figured hey, Fabian Rangel, Jr. is writing the comic and I enjoy the hell out of his stories so let’s give it a shot. I was a bit lost at first, but then it settled into a Quantum Leap meets Lone Wolf and Cub esque story and while that’s easy to peg, it's still highly enjoyable. A lot of that comes from Warwick Johnson-Cadwell’s artwork. 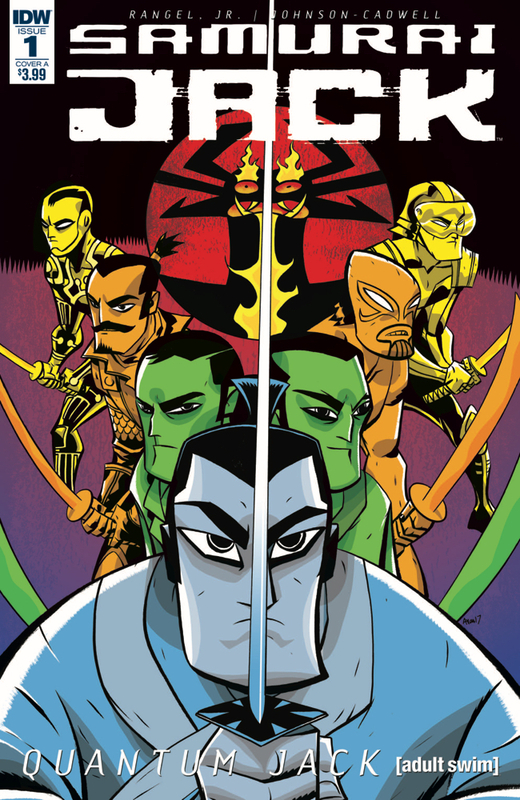 The style isn’t something you’d associate with Samurai Jack and hell; it’s bizarre for an IDW title in general. Yet, it’s one of the best-looking books I’ve read all month. I would recommend it just based on the artwork alone. Thankfully, there’s a story as well, but not much talking. Much like the few episodes of the show I watched, the dialogue is minimum. Rangel, Jr. steps aside and lets the visuals do the heavy lifting. It’s also a bit more mature, but then again, maybe Jack gutted fuckers on the cartoon… I doubt it. Again, the art is the star and Johnson-Cadwell has some great panel choices that make the story flow naturally. The action sequences are highly enjoyable and flow nicely. There are some flashback bits that are also handled uniquely with more of a paint splash style of panel that played into the fact that it was a memory and not happening in real time. The coloring is flat and muted; there’s a lot of greens and purples that give it a distinct look. It also gives it a look that’s unlike most IDW titles. There’s not much else I can say about this comic. The lettering was swell. 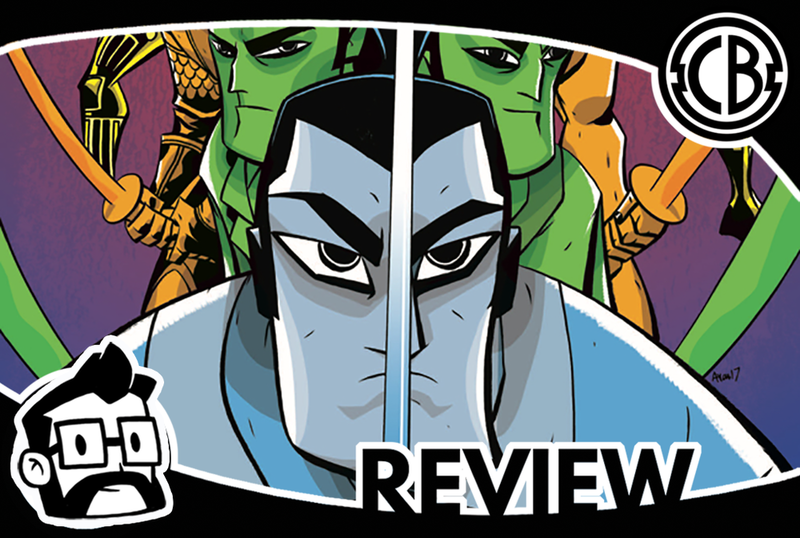 If you’re a fan of old Jack or new you’ll likely like this first issue. It’s a fast read which is nice because it plays into the action quite well. I’m curious to read more, but doubt I’ll review more. There’s a formula being laid down in this first issue, and while that’s fine to read, I doubt anyone wants to read a review that says the same thing over and over.